What are some times when you wish you had been bolder in your life? What are some times when your faith has pushed you to take a risk? How has this message challenged you? What are some ways you can be generous that do not involve money – at your church, in your neighborhood, in your family? What intentional steps do you need to take? 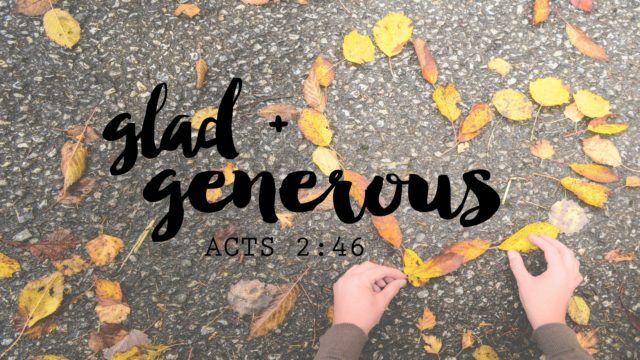 Why does Luke give a positive and negative lesson on generosity in Acts 4:32-5:11? What lessons can we learn from Barnabas, and Ananias and Sapphira?